- A new page "Restorations" with Danny's CX the first one up. Do you purchase parts for your CX from the various parts suppliers in foreign lands? Do you have fun dealing with your bank making the payments for your purchases? I have found a very simple and cost effective way to make international payments and you can do it all from your computer. An article on the CX 40th that was printed in the NZ Herald. HOW CAN I GET THE EXACT PRODUCTION DATE OF MY CX? Getting the correct date of manufacture for your CX can be a trial. If your car is NZ new then there is a 99% chance that NZ registration records ( available from www.carjam.co.nz) will be correct. However this may be incorrect if your car was directed here from another country eg Australia or the UK or if was privately imported. The only 100% accurate way of establishing the date is to use the ORCA number. You will find this number painted on the front side of the left hand suspension strut ( as long as the guard has not been replaced). You may have to encourage the wiring loom to move to see the number. 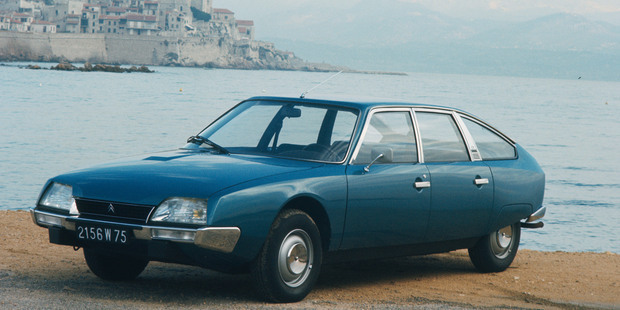 Then visit this website: http://www.citroen-ds-id.com/gen/Gen_Organr.html, enter your ORCA number and up will come the exact production date of your CX. However this only applies to models built after 01 Jan. 1980. Are you in the process of restoring or refurbishing a CX?